Our Department continues to thrive, due in large part to the many resources we receive. But our resources are not infinite and we are always striving to ensure we have the means to continue to be a leader in cardiac care. If you want to be a part of our mission to pursue the best treatment for cardiac patients, please consider a gift to the Department of Cardiac Surgery on the Health and Medicine area of the Leaders & Best Giving website. Cardiac Gift Fund—A resource to help pay for innovative teaching ideas and important educational initiatives to enhance the training opportunities of the next generation of the leaders and best in cardiac surgery. Bove Discovery Fund—Gifts support the Edward L. Bove M.D., Professorship Fund in Cardiac Surgery. Pediatric Cardiothoracic Intensive Care Unit—Funds support the Pediatric Cardiothoracic Intensive Care Unit, a state-of-the-art national model for collaborative management of infants, children and adults with congenital heart disease or heart disease acquired during childhood. Heidi's Hope Congenital Heart Defect Research—A fund to raise awareness of and research funding for Congenital Heart Defects, the most common type of birth defect in the world and the number one cause of birth defect-related deaths. Reuben Phoenix Schostak Congenital Heart Center Research Fund—Reuben Phoenix Schostak was born March 2014 with a rare and very serious heart defect known as Hypoplastic Left Heart Syndrome. 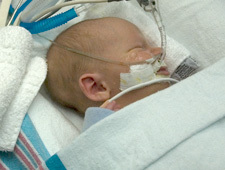 This fund helps support research that will enable physicians to treat future children born with similar heart challenges. Center for Circulatory Support - Terumo Fund—Funds aid the CCS whose physicians continually evaluate new mechanical circulatory support devices, and participate in the development of new types of devices. Heart Failure/Heart Transplant Program—Gifts are given directly to the Cardiac Surgery Heart Failure/Heart Transplant program which encompasses not only heart transplant surgery, but also works closely with the Center for Circulatory Support (CCS) to provide bridge procedures using ventricular assist devices (VAD) for patients awaiting transplant.